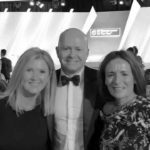 Tour America Managing Director Mary McKenna told Travel Extra that making the finals of the prestigious EY Entrepreneur of the Year Awards helped put the travel trade on the wider business world map. 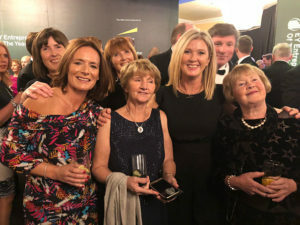 The 21st annual awards ceremony, held in Dublin, was attended by more than 1,500 business leaders from across the island of Ireland and the guest of honour, Minister for Finance Paschal Donohoe, to celebrate the achievements of the 24 finalists. The 2018 finalists collectively employ more than 2,700 people and last year generated revenues of over €150.3m. “The footage they showed was brilliant for the travel trade was amazing,” Mary told Travel Extra. “I’m the first travel agent ever to get into the EY Entrepreneur of the Year. I was in the final 24 so I wasn’t the overall winner,” she said, but believes “it’s brilliant for the brand”. “I’m a bit overwhelmed by the whole lot to be honest,” said Mary, who was joined on the night by family, many of whom have strong ties to Tour America, and friends, including Ciaran Mulligan of Blue Insurance. Stephanie Frame and Mary McKenna with Evelyn and Mary McKenna, sisters of the Tour America MD’s late father. Back row, Mary’s sister Geraldine Saunders, who is Tour America’s HR manager, and Sue Quinn, a former Tour America GM who has set up her own business, plus brother in law Patrick Quinn, formerly Mary’s Financial Controller. 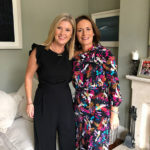 Also cheering on the Tour America MD was Mary’s sister Geraldine Saunders, who is Tour America’s HR manager, and Sue Quinn, a former Tour America GM who has set up her own business, plus brother in law Patrick Quinn, formerly Mary’s Financial Controller. The overall winners on the night were Peter Coppinger and Daniel Mackey, from Cork software comany Teamwork.com, who were in Mary’s International category of the awards. And Minister Donohoe said: “The EY Entrepreneur of the Year winners, and finalists, have shown great leadership, determination and ambition in striving to achieve success in their business. The EY Entrepreneur Of The Year Ireland programme is supported by Premium Corporate Sponsor Julius Baer International; Government sponsors: Enterprise Ireland and Invest NI; and Media Partners: Newstalk, The Irish Times and RTE. The Gala Awards ceremony is available on the RTE Player. The 2019 programme will be open for nominations from January 2019.